Finally, Shahid Kapoor has broken his silence over the Padmavati row at International Film Festival Of India 2017. In the midst of celebrating cinema from all over the world at Goa IFFI 2017, an Indian film faces what is the worst nightmare of any filmmaker. 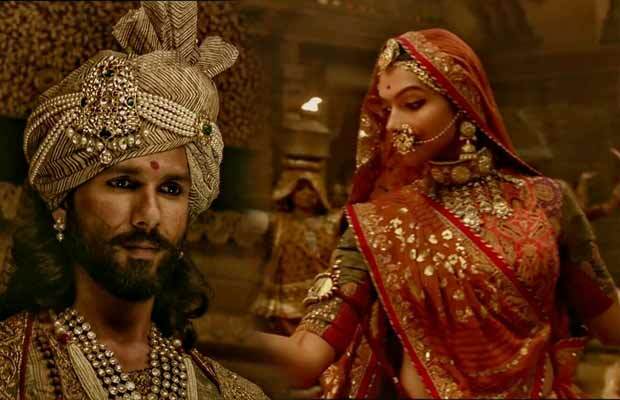 The impending release of Padmavati seems like a distant reality now as the movie has been banned from being released in the states of Madhya Pradesh and Punjab. Seemingly Jammu and Kashmir is willing to support the ban. On the red carpet of Goa IFFI 2017, Padmavati actor Shahid Kapoor has finally broken his silence. The protests have also reached the gates of Chittorgarh fort and Kumbhalgarh fort, so much so that the entry to the fort was blocked by protesters. This is not the first time a movie Shahid starred in has faced protests. Similar protests were faced by Abhishek Chaubey directed Udta Punjab. Owing to the threats, security given to the director and the actress has been doubled. The movie has been produced and directed by Sanjay Leela Bhansali.